Lets Answer Some Buring Questions! Welcome back! Before we get too stuck into the main topics, I said I would talk about. Lets quell some of the main questions and misconceptions that come up with S&C/training in sport. I know some of these answers are not super in depth and possibly a bit blunt or I may not seem sympathetic. At the end of the day I want to help people I work with improve because what I get is, reward from is seeing people I’ve helped succeed! I remember when I first met Dougie and he said “we are here to help people and there isn’t a better feeling than someone saying you made a positive impact in their life”. Will I not get massive if I train in the gym? This one is super common, and I’ve even asked it myself during my racing career. The simple answer is NO! And you don’t just have to trust me. There are a few reasons, depending on natural builds of course who are at a greater disposition to gain lean mass. First, the interference effect is probably the most common one when discussing endurance sport, this is a topic I’ll discuss at some point. The interference effect basically means if you are doing a lot of aerobic training or endurance training, you’ll really struggle to put on lean mass. Aerobic training blunts the hypertrophic response to resistance training, gaining weight arguably isn’t useful for your power to weight ratio, although it depends on your circumstances. You get all the strength performance gains without the increased muscle mass associated. Secondly, nobody ever gets massive by accident, you don’t walk in looking like cyclist or runner and walk out looking like Arnold Schwarzenegger. It’s not easy to gain the lean mass you might be scared of getting. You’ll have to do something pretty specific training for 6-10 weeks before you might see a small noticeable difference. Athletes often feel like they are putting on muscle but in reality, you might get a temporary muscle ‘pump’ (increased blood flow in the muscles) but resistance training usually promotes a change in hormones which can result in a leaner build. Training more makes me better? Here is another one I used to believe, if only I could train 35-40 hours a week instead of 28-30, which if I went over, the quality diminished and it made me feel terrible. How much you can train really depends on your life commitments. More is probably not better, but better structure means more quality and better recovery. How many people go out, get out of town and just ride hard with no real purpose other than to feel like they worked hard? Or try and half wheel you friends? Well what you are doing is pretty inefficient and you would get better adaptations from structured intervals with sufficient rest to produce consistent intensity higher than your threshold. The trendy term now is FTP (Functional Threshold Power). Literally doing anything structured rather than riding hard the whole ride will be better. Always have a plan, even if that plan is to go out and see the views. A pretty hot topic. I personally think it’s incredibly hard for anyone who is not a full-time athlete to ever get close to the volume that creates the opportunity to ‘over train’. In my career I only got to this point after a 6-week training camp in Spain as a 20 year old and I did more than was programmed and a lot of stupid things I thought made me a tough athlete. The most common thing I see when people say they have over trained is they don’t recover properly and don’t have a structured spread of sessions which makes you feel tired and have a lack of ability to do them properly. When you take on more training there is a certain level of ‘looking after yourself’ required. This could be nutrition, foam rolling, sport massage and the big one is sleep, something most people don’t get enough of. Getting less than 8 hours a night increases you rate of injury by around 30%. Over training usually takes months to recover from and can be damaging long term. If you take a few days off and feel fine again, think about making a plan. That being said it’s not always this way and there will be a few people who do over train and don’t fit the full-time athlete profile. More reps and lighter weights? A few years ago, I would have given this a thumbs up, now I know better. Surely 20-30 squats are better for an endurance athlete, right?! Depending what you are trying to achieve the answer is still probably no. Less reps with a greater load is going to achieve better results. The question you have to ask yourself is which system are you stressing when you do that? In my opinion high reps of light weights is conditioning, probably more cardiovascular and super inefficient compared to what you could be doing instead, you could be riding your bike instead for example. This is what we will cover in the next post. Strength training reduces my flexibility and makes me slow? 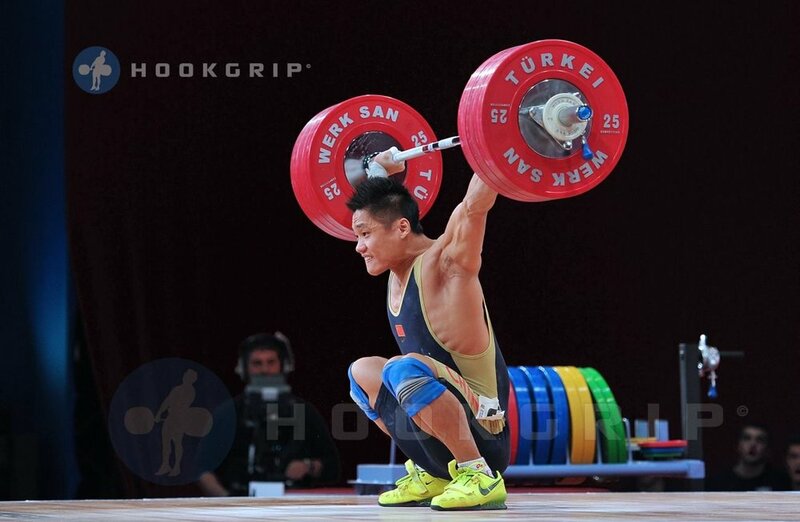 Lu Xiaojun is one of the most iconic Olympic weightlifters of modern times. I realise he’s not an endurance athlete but this illustrates my point perfectly. Does anything about this image suggest inflexibility? This inflexibility idea couldn’t be further from the truth. If anything, starting resistance based training into your training programme will start to highlight areas which you didn’t even know were an issue. I’m not suggesting you need to lift weights like Lu. When these issues are addressed it simply makes everything you do more efficient, this might be a better aero position or shorter contact time on the ground while running. To move the bar fast you also have to be very fast and agile, the two go hand in hand. I hope that covers some basic questions that might have come across you mind, before we get more into specific topics. Hopefully didn't create too many more questions either. I can always answer question they just need to be asked! Remember to join the Cipressa Cycle Collective on Facebook!